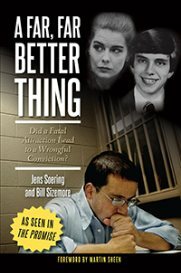 CHARLOTTESVILLE, Va. (WRIC) — For decades, Jens Soering has claimed his innocence after being convicted of brutally murdering his girlfriend Elizabeth Haysom’s parents in Lynchburg in 1985. 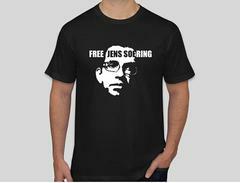 Soering, the son of a German diplomat, says he made a false confession. At a news conference Friday filled with those who support Soering’s quest for a pardon, an international interrogation expert says he believes the confession is unreliable at best. “I find Jens’ confession unconvincing and once more is unreliable as something upon which to convict him,” said interrogation expert Andrew Griffiths. Joining the conference via Skype from England was Griffiths, a former UK police officer, turned criminal justice scholar. He says after analyzing the evidence for months, he determined that much of what Soering said in his confession didn’t match with facts from the crime scene, such as what the victims were wearing, or how the crime was committed. “If he didn’t commit the crime, he had no first-hand crime scene information and that would explain why he got so many details wrong,” said Griffiths. Soering’s attorney Steve Rosenfield, who has spent 3,000 pro bono hours on the case, says he believes the confession along with the fact that Soering’s DNA does not match any of the blood found at the crime scene proves one thing. “Jens Soering was not at the murder scene, that he did not commit the murders,” said Rosenfield. Rosenfield also revealed that Chuck Reid, a former Bedford County detective who originally worked the case has also written a letter to the governor, saying he believes Soering was wrongfully convicted. Meanwhile Bedford County’s sheriff continues to maintain they have the right man.